Khao Sok National Park is home to many wonders of nature, and some of the best Thailand jungle trekking available. 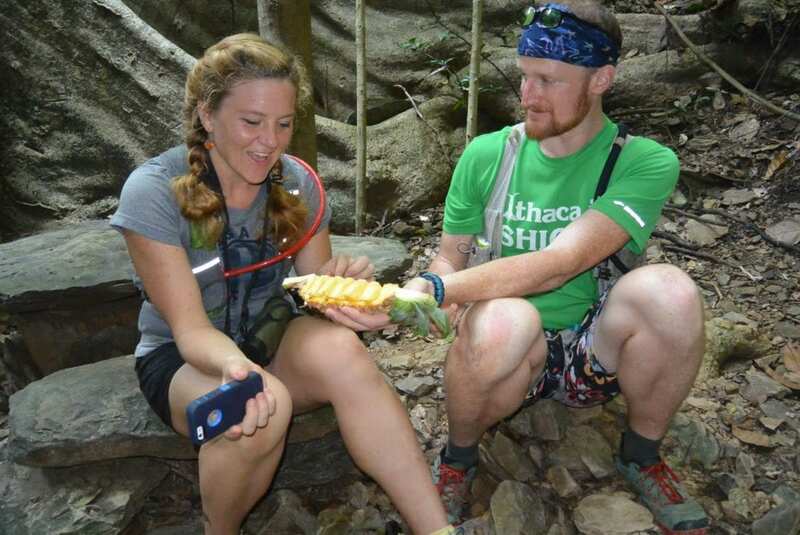 Rare and bizarre plants and animals call the peaks of the park’s mountains home. Also, due to in inhospitable terrain, more species are undoubtedly awaiting discovery among Khao Sok’s famous limestone Karst formations. Of all these enchanting natural wonders, few capture the imagination quite like the Rafflesia Kerrii – the world’s largest ‘flower’. 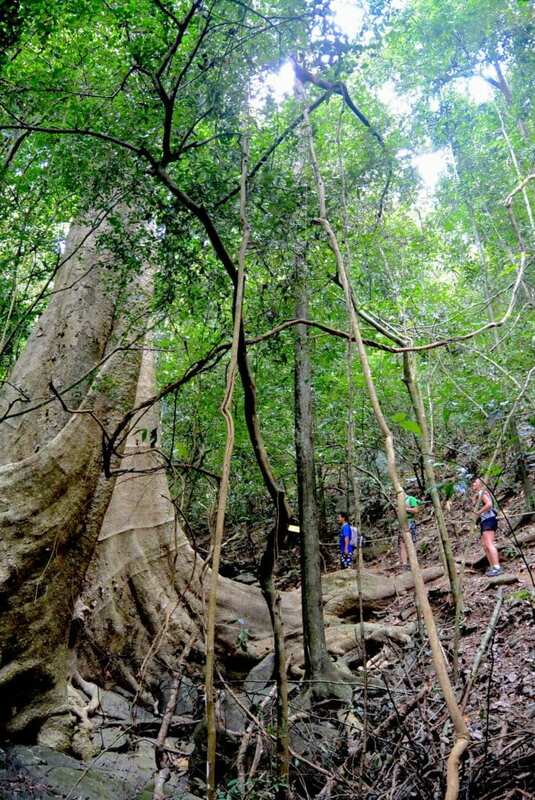 Rafflesia Kerri is located high on mountain ridges, and is a genuine treasure of Khao Sok National Park. Furthermore, it is visited by a surprisingly few number of intrepid visitors. Recently, I was lucky enough to put my name on the list of adventurers to make the climb to the Rafflesia. 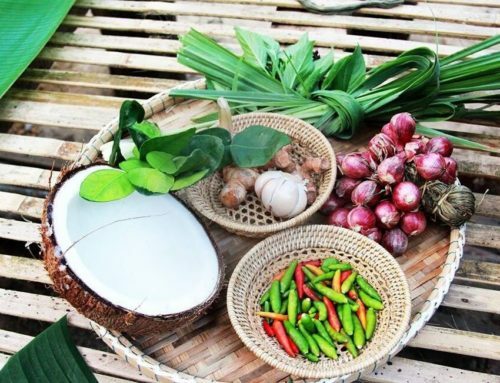 Our Thailand jungle trekking adventure began at Khao Sok Riverside Cottages. It was me, two fellow Americans, and our guide Klong. It is worth mentioning that the Rafflesia Kerrii, or Dok Bua Poot in Thai, is not a 24-hour attraction. In contrast, the species blooms during a couple months of the year, and blooms tend not to last more than a couple of days. Additionally, blooms don’t necessarily follow any kind of pattern. 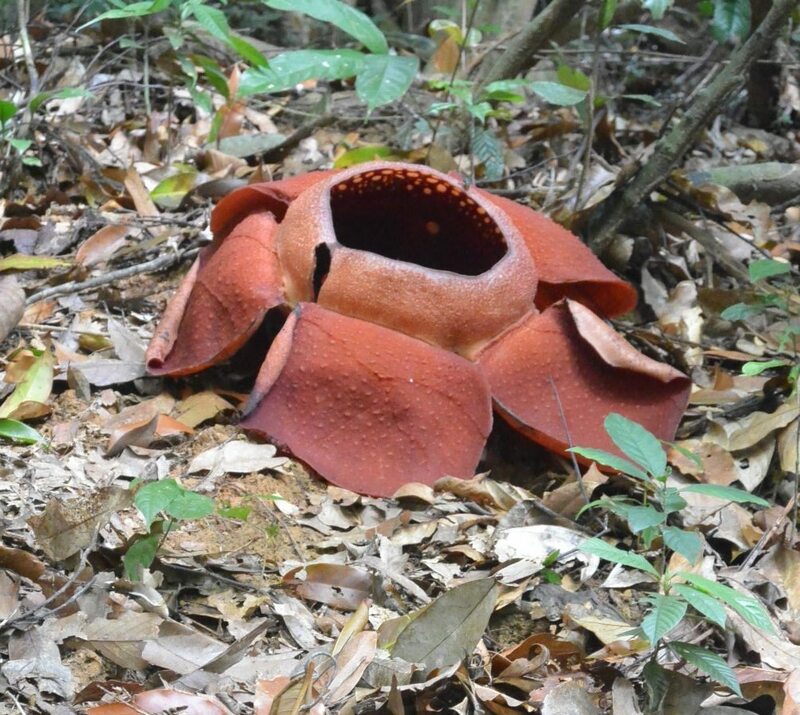 As a result, it is difficult to know when a certain area will have a Rafflesia bloom. For this reason, good local guides are absolutely essential, and we had one of the best. The mountains above Khao Sok town had no blooms during this time. Instead, we were headed to a small village called Bang Man, home to a remote ranger outpost. Although the trip lasted an hour, time flew as we took in breath-taking views of limestone Karst mountains. Soon these shifted to pastoral village scenes as we turned onto a road leading into the forest. After a bumpy ride down a dirt road, we reached the ranger station. Then, a ranger served coffee, and we sat around for a few minutes drinking and admiring the view. Finally, the hike began. The Rafflesia hike is perhaps the most difficult that Khao Sok has to offer. Additionally, it is probably some of the most rugged Thailand jungle trekking out there. Therefore, is wasn’t surprising when it became immediately clear that this would be a difficult hike For example, the trail here began in a narrow, boulder-filled creek bed, and we needed to hop our way slowly uphill. We balanced on the larger boulders and jumped over small pockets of water. According to Klong, birds would come by the dozens to bathe and socialize in the late afternoon hours. Klong was an excellent guide. He would pause frequently to point out tiny bits of nature that would have gone unnoticed by our untrained eyes. A small nest of brilliant yellow paper-wasps nestled in a broken piece of bamboo. Next, strange mushrooms shaped like champagne flutes. Finally, claw marks left by a Malayan Sun Bear in search of honey. After 15 minutes of steady climbing, Klong announced that it was time for our first break. Here, a massive tree soared skyward. Its buttressed roots were a foot or more thick and easily taller than any of us. At the base of this giant sat a small table and stools made of piled stone. We sat, drank, and marveled at the tree. Meanwhile, grassy smoke from Klong’s Nippa Palm cigarette mingled with the musty aroma of the forest and a sweet smell of flowers. 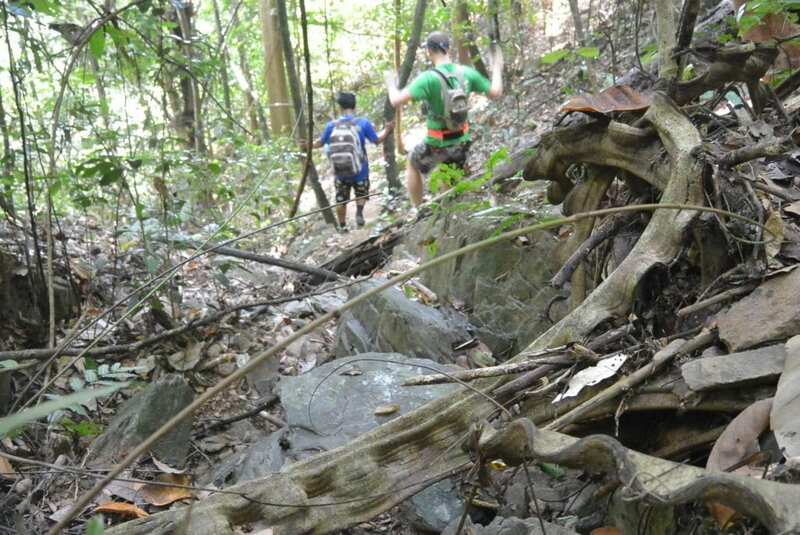 Soon, we continued our Thailand jungle trekking adventure, on a trail which continued rising steeply. Step after step took us higher as we sought foot and toeholds among rocks and roots. Despite the difficulty of the trail, Klong never wavered in his ability to spot items of interest. Mysterious chimneys of dirt rising from the leave litter were identified as the entrance to a cicada’s burrow, for example. Here, a larvae might spend 7 years underground before emerging as an adult. 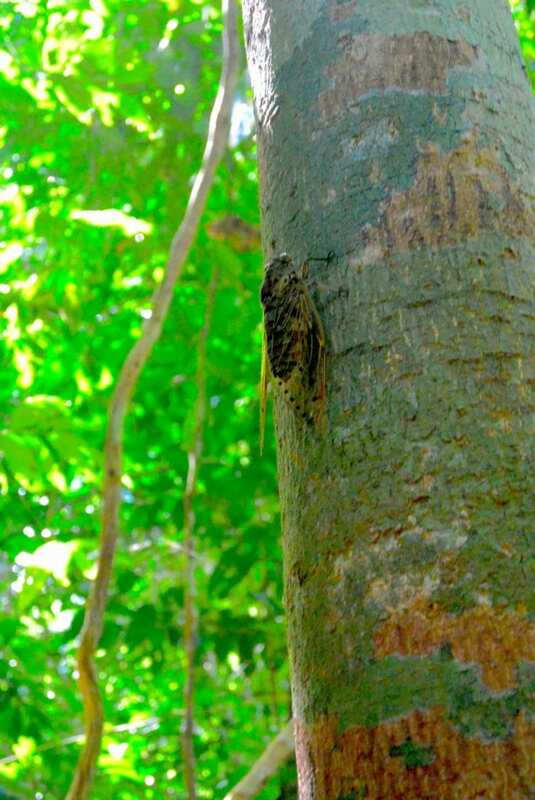 Then, he somehow managed to spot an actual cicada perched on the side of a tree. This was no ordinary cicada, however: it was massive! Easily as big as a croissant, the insect looked more like a small bird. The noise from this insect is deafening, Klong told us. Higher and higher we climbed. Every now and then we would stop to examine some new marvel, or simply to catch our breath and take in the increasingly spectacular view through breaks in the forest canopy. Finally, we arrived at our goal of our Thailand jungle trekking trip. The Rafflesia’s trademark ‘rotting meat’ smell was absent, however the blossom was unmistakable. It was bright red and orange and stood out from the surrounding leaves like a candle in the dark. The massive petals drooped lazily to the ground, peeling away from the football-sized bud in the center. Additionally, a massive opening was gaping at the top of this bud, revealing it to be hollow. Inside, the hollow bud had a floor carpeted in strange red cones. Outside, the sides sported a white polka-dot pattern. As a result, the bloom was bizarre, like a giant red eyeball with petals. It looked like it had been stitched together from the hide of some unholy, otherworldly creature. Flies buzzed incessantly around the bloom in the way one would expect them to swarm a dead animal. The descent was less strenuous, although no less difficult as we struggled to find solid footholds on the steep path. Eventually we reached the mammoth tree, where Klong pulled two pineapples from his bag. We watched as he deftly carved them, and gratefully accepted the juicy slabs of fruit he handed to us. Bolstered by the fruit and the thrill of seeing the Rafflesia, the rest of the trek was a breeze. We skipped over boulders and under low-hanging vines. Then we scrambled over fallen tree trunks, and skirted stands of Rattan palms bristling with evil-looking thorns. It was with not a little sadness that we emerged from the jungle into the brilliant sunlight at the ranger station. Exhilarated by this special bit of Thailand jungle trekking, I think we all would have been happy to stay in that place, home of the mystical Rafflesia, for much, much longer. 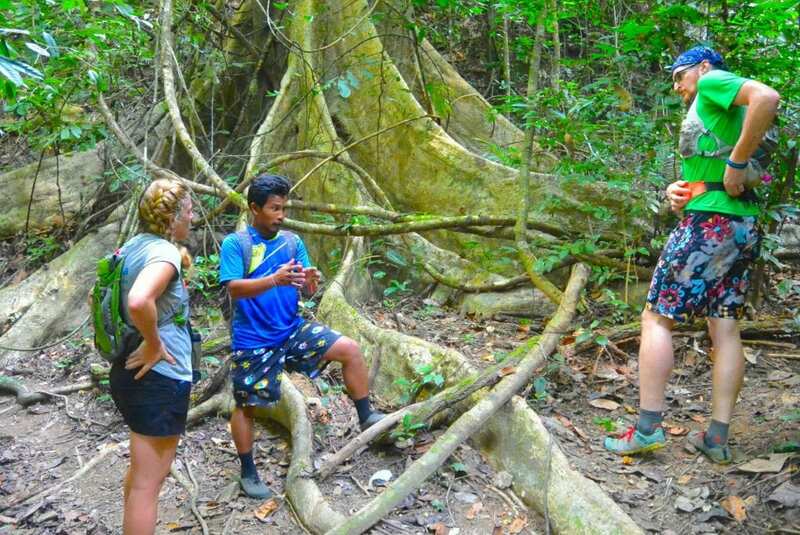 Interested in more Thailand Jungle Trekking? 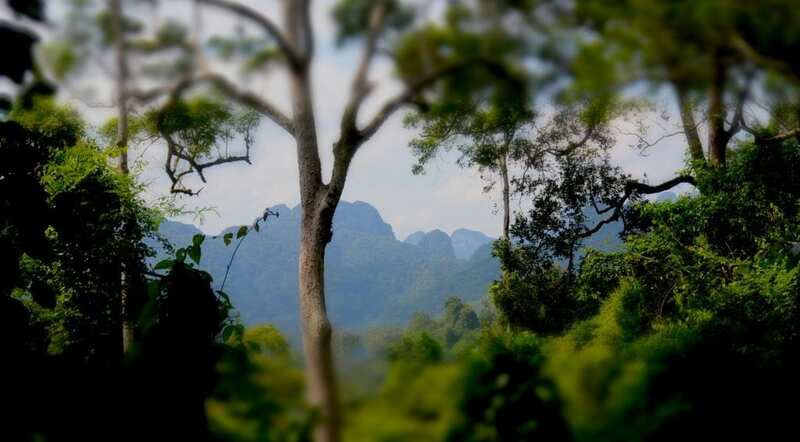 Coming to Khao Sok to experience the excellent Thailand jungle trekking? Then you’re coming to the right place! 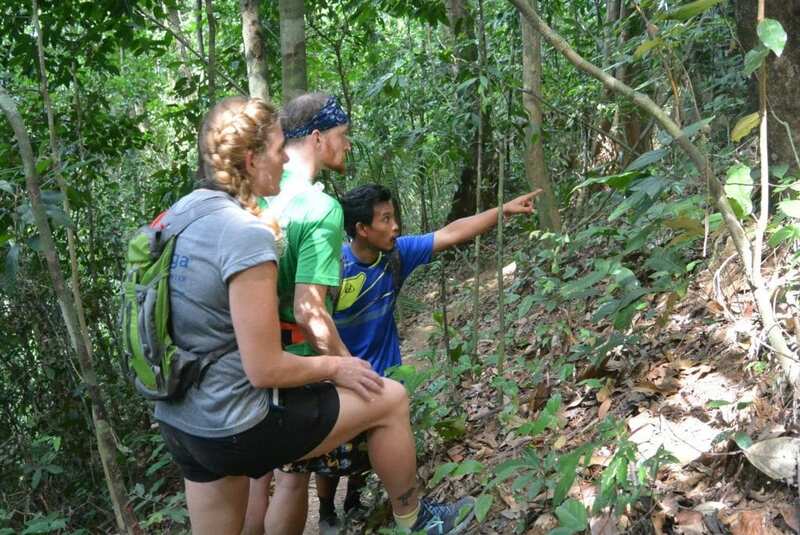 We know a thing or two about trekking in Khao Sok, and have written quite a bit about it! Be sure to read about our Top 3 Hikes in Khao Sok. You can also find info on our Half-Day hike to the Giant Bamboo, and our epic camping trip to the abandoned Chon Tin Mine!